Central City Church is working to build a new community center in the heart of Franklinton. This ministry is one of our primary local missions. We need a lot of help converting an old church into a neighborhood community center. Join us October 28th from 9-Noon. 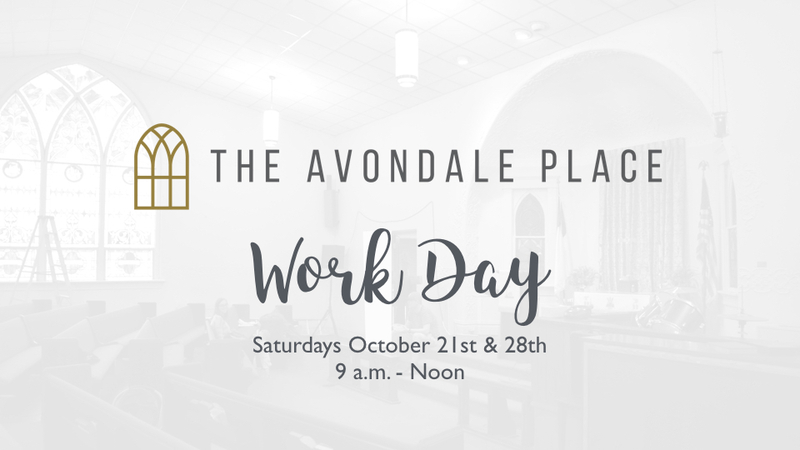 Bring a pair of work gloves, and join us at any point during the morning—whether it's for the whole time or just a half hour, we will have something for you to do. Learn more about the Avondale Place here.